You already know the total height you can install in the bathroom and want to find out which KALDEWEI shower solutions meet your requirements? 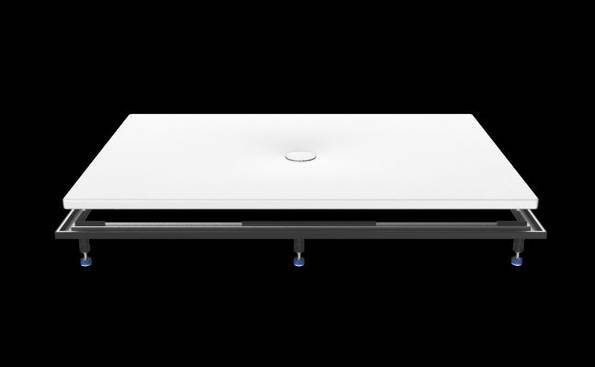 The KALDEWEI installation configurator helps you determine quickly and conveniently which components you need for the installation of your shower surface. 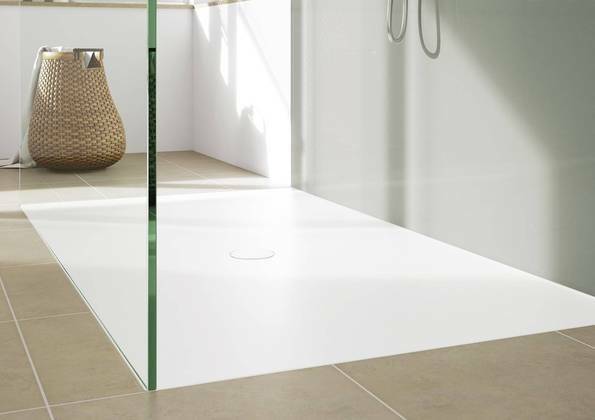 Shower surfaces are showers with a floor-level, enamelled surface. In contrast to shower trays, these products offer barrier-free access thanks to floor-flush integration. The total height for shower surfaces with horizontal waste fitting is measured from the finished floor level to the lower edge of the siphon. It includes the integrated slope and the material thickness. If a lower height is required, waste fittings with horizontal waste may need to be installed in a floor recess. The total height for shower surfaces with vertical waste fitting is measured from the finished floor level to the unfinished floor level. The figures are based on the minimum settings of ESR and FR 5300.